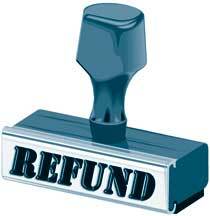 Refund Policy | South County Sports Club, Inc.
To qualify for a full or partial refund, the parent of the participant MUST contact SCSC and submit a "Parent Refund Request". If, after submitting the "Parent Refund Request" form, you do not receive a response within 5 business days, please be sure SCSC has received your request. Note: Refunds are not provided to players on County or Travel-Select teams once team formation takes place. REGISTRATION FEES ARE NON-REFUNDABLE. Exceptions to this policy - and the amount to be refunded, if any - may be made at the discretion of South County Sports Club (SCSC) on a case-by-case basis for reasons such as injury (prior to season start), moving out of the area, or ineligibility due to boundary limitations. Registration fees are refundable if SCSC does not field a team or sport. A 50% refund of registration fees, minus any processing fees and/or incurred costs, will be provided if the request is approved. SCSC reserves the right to change this policy at any time and to deny or approve a refund for any reason. We strive for consistency and fairness and will evaluate every request objectively.